Welcome to part two of our three-part mini-series, “2011 Harvest Recap,” I’m your host and the chap who worked the Harvest, Jonathan Jonny Cigar Cristaldi and sometimes Why. That’s a bit of an old joke and it’s not very funny. Shall we then? We turn now to the score of an old Parisian Salon and boutique winery tucked away in a garden paradise just off Manley Lane in Rutherford, CA. Mind you, I had a unique situation worked out in wine country: three days a week working at Alpha Omega in the cellar and three days a week working the Salon at Swanson Vineyards. 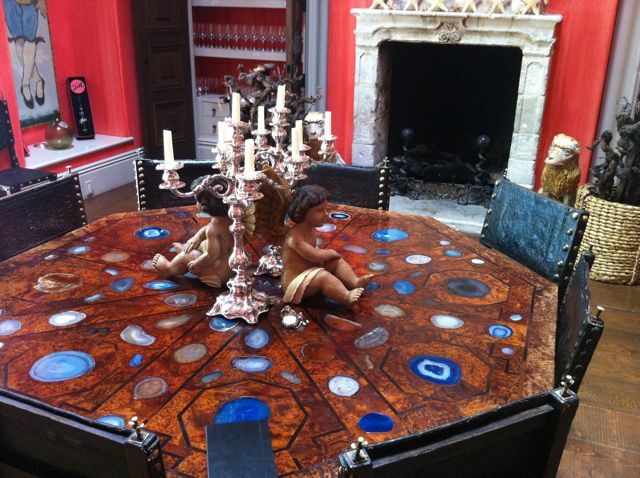 Moroccan wood, agate in-lays, a table suitable for a king, and this is how you feel when tasting wine at Swanson. Like a king, or a queen. And me: the court Jester, ahem Salonniere, 'scuse me. 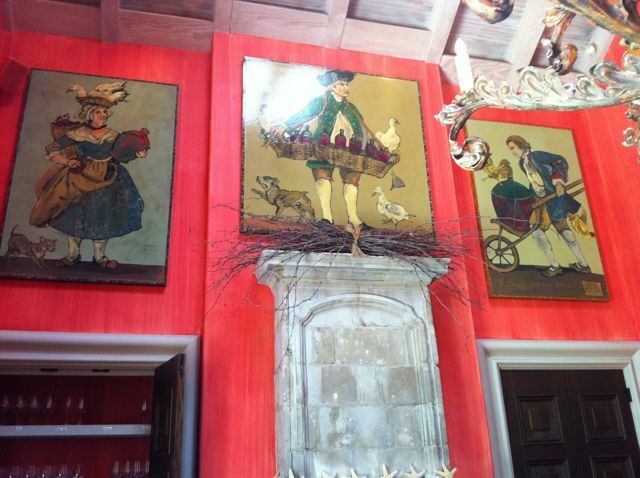 Art adorns the Salon walls by local Calistoga artist Ira Yeagre. Integral to the Harvest experience, I was convinced that work in a tasting room was equally essential to my understanding of the industry from the ground-level up. Now, I’ve been to many-a-tasting rooms at many a-winery and have been plenty-a-disappointed. Tastings are typically whirl-wind experiences, like In-and-Out Burger. They get you in, they say, “Here’s our Cabernet, it’s so delicious, it tastes like blackberry soup with a dollop of graham cracker crème fraîche, a richy rich mouthfeel and goes nice with Turkey.” Then they say, “On the other side of the card is information about our Wine Club. If you sign up today we’ll give you a shoulder rub and charge your card a magical price, derived from our Wheel-of-Fortune-esque wheel of fortune.” And before you know it you’ve lost $30, a bit of pride, and have an empty feeling in your stomach because you didn’t pick up the hint of “late-afternoon simmering prune.” Well, clearly you’re not cut out to taste wine. Why don’t you stick to Coors Light? NO, good wino. You will not stick to Coors Light. You will persevere. At Swanson, the Salon was designed to experience wine the way the Swanson’s like to experience wine: slow, over bites, around a table with friends. Conversation and storytelling, blended together to create a memorable experience and truly let the guest spend a bit of time with the wine. Lucky for the Swanson’s they have winemaker Chris Phelps who happens to make fu#%ing incredible wines. And I know because I had to taste them before every appointment, and when day-in-day out one is tasting the same wine, one has the opportunity to look for nuance and to understand the concept of “structure” in a wine. But let’s backtrack a moment, because someone in the back row asked a great question: “How did you end up at Swanson?” Great question! Through a series of humorous miscommunications with the former Marketing Director (I thought she was the daughter of Elizabeth Swanson and she thought I was a spammer) and after numerous follow-ups, I was granted a meeting! I thought I was heading there to talk about a potential Noble Rot collaboration while she thought I was interviewing for a job. After 20 minutes we figured it all out and became fast friends realizing we had come to the valley on similar missions. A few weeks later I received an invitation to a small private gathering at the winery. My contract with Ram’s Gate was about up and I was in talks with Alpha Omega, so I had no expectations of this event other than to meet the family and taste more of the delectable Swanson wine. The distinctly and stately Clarke Swanson, a man who could very likely have been King of the Napa Valley had this been 15th-Century Europe, wearing a double-breasted suit jacket, complete with pocket-kerchief appeared in the Salon. Was it possible that this man was my real father?! Had I been raised in the trailer park in upstate New York accidentally? Had I been sent down the Napa river as an infant, my mother picking grapes saw me coming, saved me, and fled to the Catskills? Nay. But, my word, we hit it off right away. Then followed Clarke’s wife, the inimitable, warm, friendly, humorous and enchanting Elizabeth Swanson. A sixth-generation New Orleanian and what I call a “pleasant hurricane,” one that envelops you in welcoming winds. Groucho Marx might have met his match with Elizabeth Swanson. And finally I met their daughter, Alexis, whose name adorns bottles of Swanson Cabernet. Like her parents, boasting a winsome personality, she and I engaged in quick-witted quick-speak and in a matter of minutes it was decided that I would likely be working as a Salonniere in the Salon. Just like that. See what a three-piece suit and bow-tie does for you in Napa Valley? In New York people just hand me their dirty dishes. And so, from late August through the last day of October I was several days a week working in the Salon, hosting by appointment only, hour-long tastings. 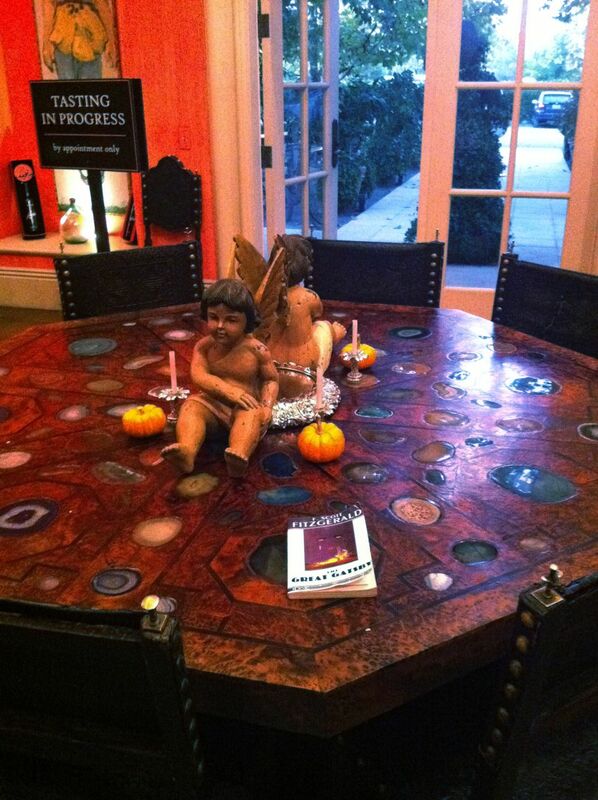 One such tasting was chronicled in photos here by Carolyn C. Burgess, a friend of Alexis, in her October 23rd posting. Landing on the Swanson crushpad, so-to-speak, was the absolute perfect scenario pour-moi. The tastings were like short performances. I had one hour to entertain, delight, revive the senses and educate the good guests that came-a-shuffling through the gates. I learned the Swanson story in and out and selected which wines I would pour on a daily basis. And my co-winery workers made the daily routines thoroughly enjoyable. A group of smart, supportive brilliant people (they laughed at my jokes, and if they were laughing at me at least they were laughing and for that they are diamonds in my book). They shall be named: Mindi, Ella, Rosemary, Lin, Grace, Samantha, Holly, Logan, Chris and Jamison. These good folks made coming to “work” a treat. I even whistled while breaking down boxes! And they supported my unconventional approach to the Swanson experience, which certainly included Dean Martin and F. Scott Fitzgerald. I have to single out one of the dames: Ms. Mindi Burnett. If e’er there was evidence that the world is truly small, look no further! Mindi was my Salonniere-marathon-trainer. And on the second day of my trailing her, dotting her brilliant performance with frivolous Henny Youngman and Dean Martin quotes, we were setting the table for the next group of unsuspecting tasters. I was telling Mindi about my days at Oxford and Juilliard. She didn’t believe a word of it, “You didn’t go to Oxford!” she accused! And I admitted she was right. I had been to The Tisch School of the Arts. Okay: that was a lie too. I went to SUNY Purchase. “I went to SUNY Purchase,” said Mindi. And here I thought the tables had turned and she was pulling my leg, but in fact it was true and all made sense! She had that familiar look; though I couldn’t place it. Well, turns out I had seen her in many productions because Mindi had attended the acting conservatory at Purchase. Our paths never crossed, however she has a lovely memorable visage and our hair parts in the same direction, hence we became fast friends. I even knew her husband! I mean: really? All the way out in Napa Valley, at a tiny off-the-beaten path winery, a fellow Poorchoice alum? The odds, the odds! My horse for the odds! Namely, consumers are like George Seurat’s favorite thing: a blank page or canvass. They come in with varying degrees of wine education, but are open to hearing it all again or learning what they don’t know or informing me of what they do know. The tasting room is the front line for a winery and it is essential to put on a good show. If the show is lacking, the experience is dull and forgettable and hence the worst enemy of any brand. And when you’re working a table of eight people from all walks of life, with different goals (some are there to taste, some to buy, some to guzzle and some to simply have a wine country experience), you’ve got to play your cards right. It’s like Blackjack. As the dealer you have an obligation to the house to win and still you have to help the other players along, make suggestions to the novice, and be on par with the experienced. 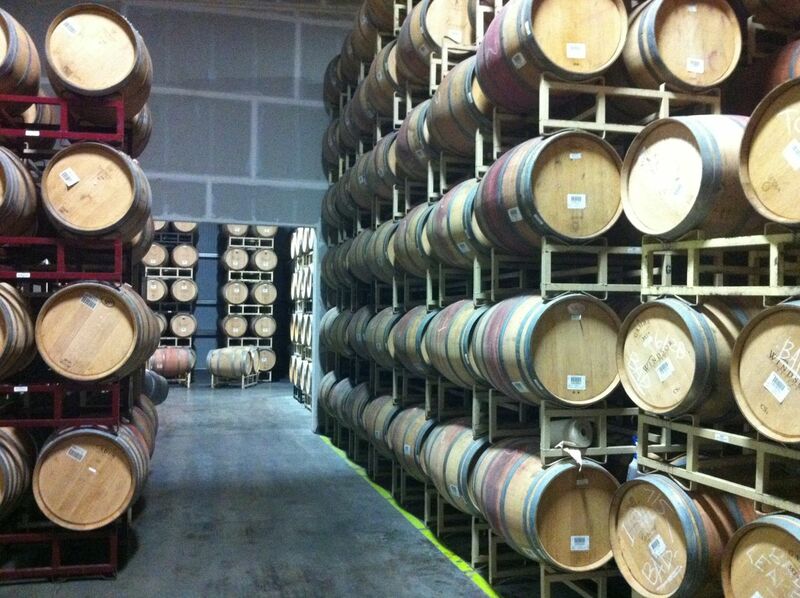 Look: Chris Phelps was hired in 2003 to make wine at Swanson. They’d been around since 1985 producing exceptional wines and Chris’s experience (Petrus, Dominus, Camyus, et al.) brings a lovely marriage of talent and quality to the wines and the take-away experience. 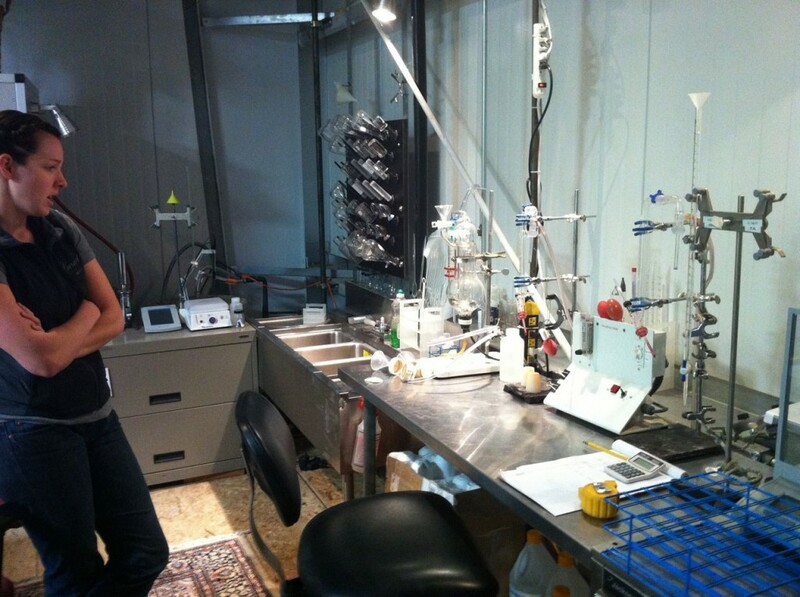 It’s fascinating to see how different Chris runs a cellar from the way Jean Hoefliger at Alpha runs his cellar. Different winery designs will dictate different approaches. Different backgrounds will do the same. Prior to Chris joining forces, Marco Cappelli was winemaker and continues to make the dessert wines. Marco makes, in my humble opinion, the greatest Noble Rot wine on the face of the United States continent. A Noble Rot late harvest Semillon from Lake County. How perfect? They make the highest-rated Noble Rot wine in all of the U.S.!!! Meant to be! 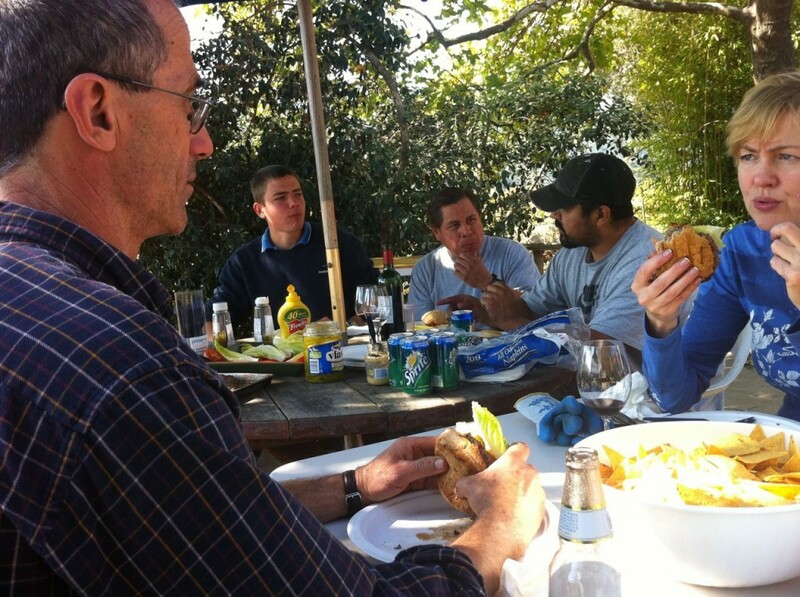 On my final day, Chris and the team made Merlot burgers. After all, the Merlot is what Swanson is known for. Left: Chris Phelps, eating a Merlot burger. Yum. 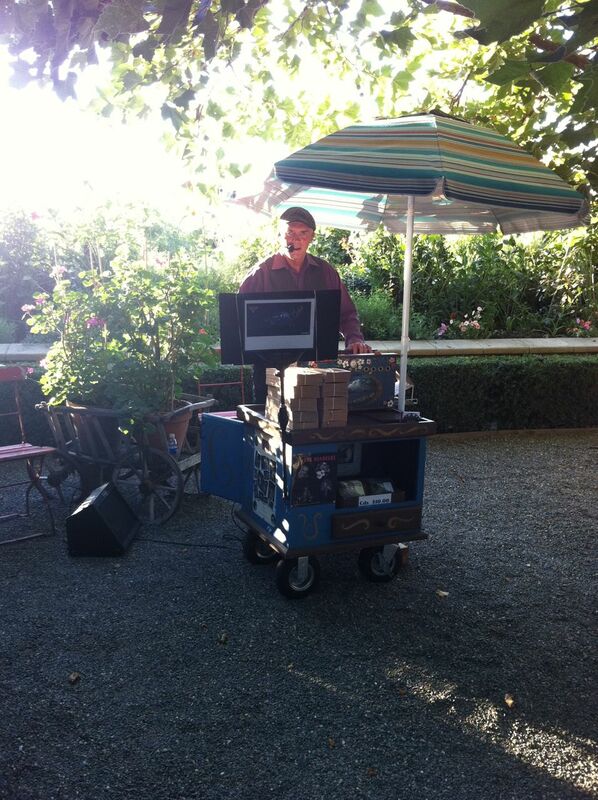 Playing in the courtyard: the brilliant barrel organist Michel Michelis, whose career includes performing with Cirque du Soleil, a French gypsy band and numerous other credits among them one wildly interesting gig as the voice of Tomber in Disney-Pixar’s Cars 2. My last day was an interesting last day. I was at the end of my stay in Napa, having accomplished what I set out to do: work the Harvest from cellar to tasting room and beyond. I was inwardly emotional, but outwardly the performer. I’d made great friends and found a wonderful sense of community and I think that anyone who wants to collect a wine that tells a story, that is the epitome of community – also happens to be delicious and age-worthy – should collect (and of course drink) Swanson wines. Visit them, make an appointment in the Salon, be inspired and become a member of their family. Tell ’em Jonny Cigar sent you. You won’t regret it. I look forward to visiting the valley and stopping by, who knows, maybe even hosting an impromptu Salon tasting! To hear my interview with winemaker Chris Phelps visit Noble Rot Talks. 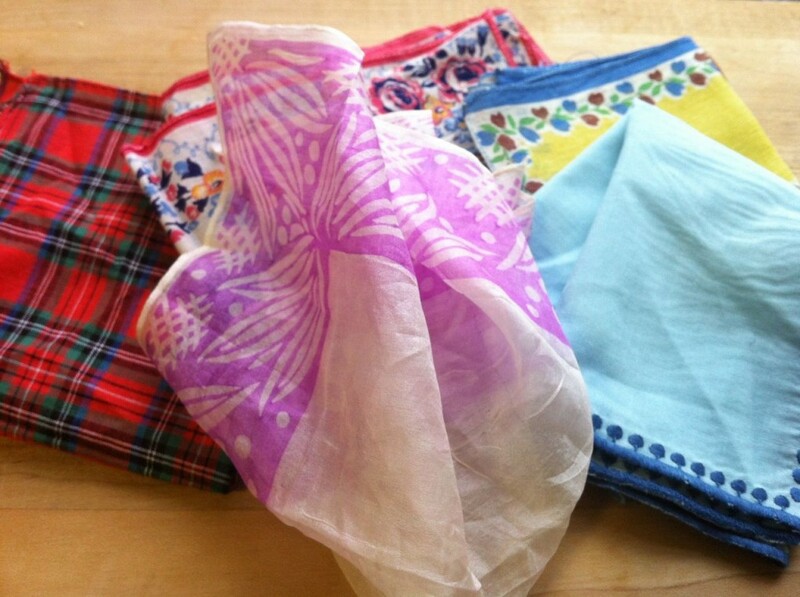 Pocket Squares given to me by Elizabeth Swanson as a parting gift! I had the pleasure of spending some time with Jacqueline Bahue, an assistant winemaker at Girard Winery’s winery location in Sonoma. 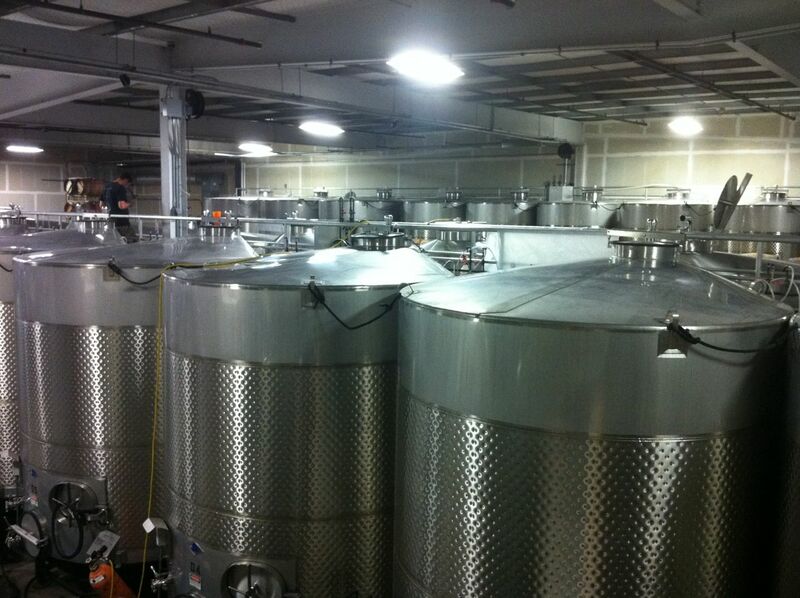 We walked amidst barrels and tanks, along the catwalks, and ended up in the “Club House,” which is really the lab where one may geek out on the science of wine, and is encouraged to do as such. Girard Winery is known for making Chardonnay and Cabernet-based wines. They are also expanding their focus to Zinfandel and Petite Sirah grown on century-old vines that dot the Napa countryside. 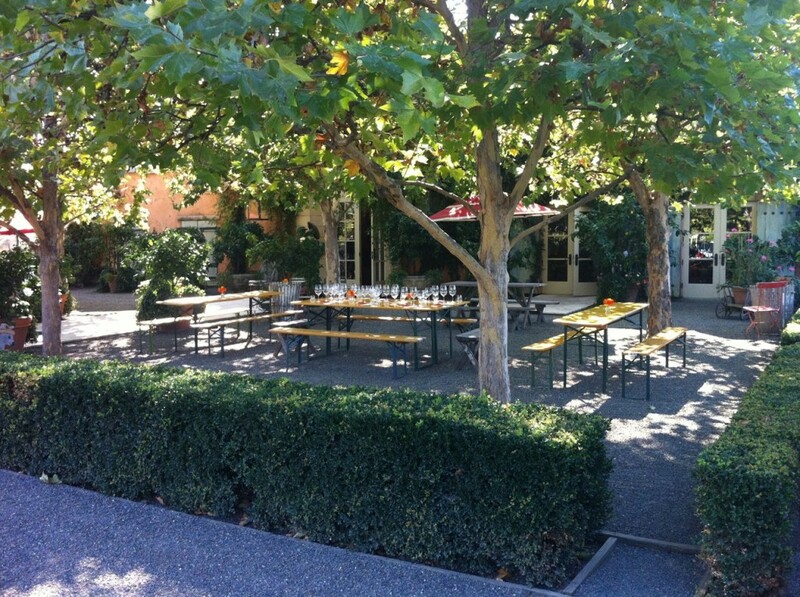 Their tasting room is in Yountville a stone’s throw from The French Laundry. I’m a fan of all their red wines, which for me are bold and possess a generous mouth-feel with a lingering finish. Dark fruit aromatics will hypnotize you and before you can say anything you’re back in the hotel room with three cases by your side — but please wait to drink until you get home because who knows how they got to your hotel room and what kind of bottle shock they went through. T’was wonderous of Jacqueline to spend time during harvest to talk to me about the finer things in life, so listen, enjoy and be elevated: click here to listen or download. On July 14th, 2011, The Noble Rot and Stag Dining Group partnered to host the “Anti” Bastille Day Party with Jacqueline as our guest wine-start of honor. 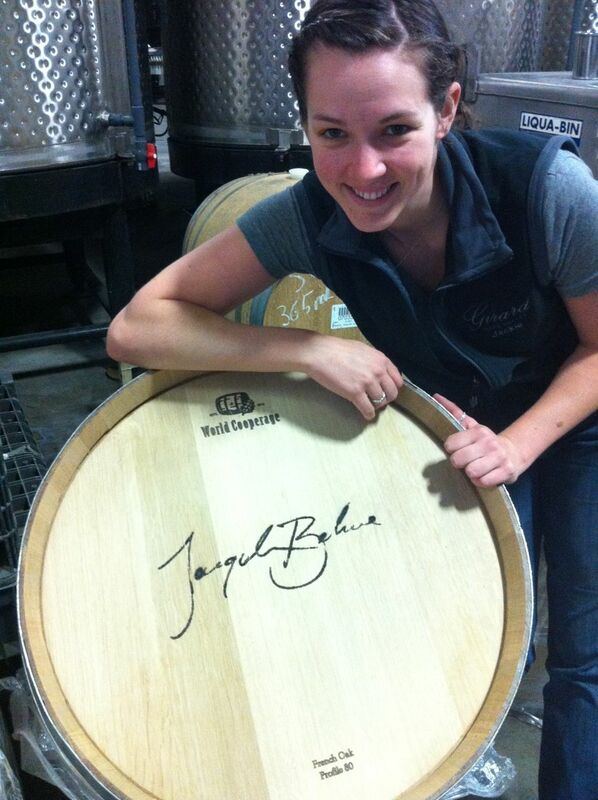 So she actually wrote her name across the barrel with a barrel smith coaching her along the way. #classy. Left to right: Christine Wells, Greg Grossman, Rob McCue, Michael Cirino, Jonny Cigar. The Noble Rot Presents: The Culinary/Libation Revolution in collaboration with Google. Photo by Katie Sokoler. 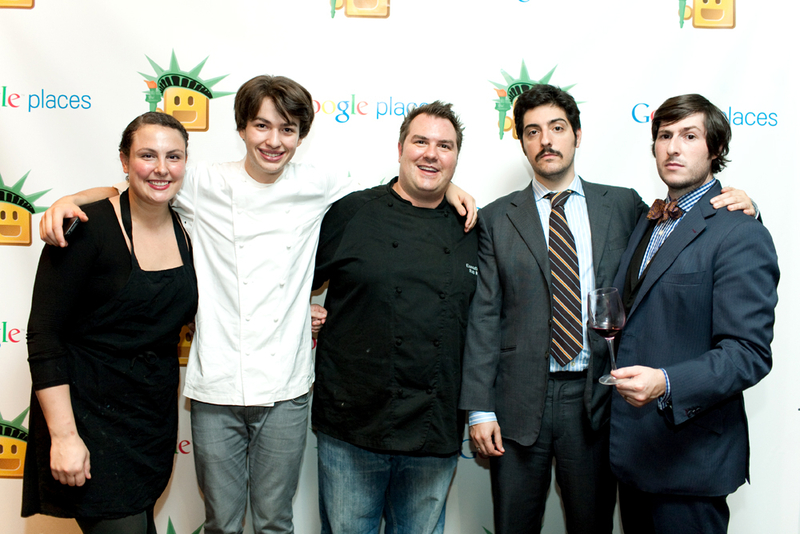 On Tuesday, September 27th, 2011, just days before the New York Food and Wine Festival the Noble Rot teamed up with Google Places to present a revolutionary event: The Culinary/Libation Revolution. This was the big idea: discuss the prevalent culinary and libation movement sweeping our nation dinner table by dinner table. What movement, Jonny? Why the very movement that in recent year has seen the uprising of supper clubs and inventive chefs, the uses of “modern cookery” in the home kitchen, an emphasis on local, fresh, organic ingredients, the use of liquid nitrogen! and sous-vide cooking techniques, the madness of the wine trade and the emergence of thousands of brands trying to carve out a niche in organic, biodynamic boutique productions. Why man, the list goes on and on! Why woman, the list goes up and up! 40 terrific people were granted a ticket to this event. They worked hard, writing reviews of food and drink establishments in NYC. They were rewarded with lively entertainment, which thrilled and revived the senses. 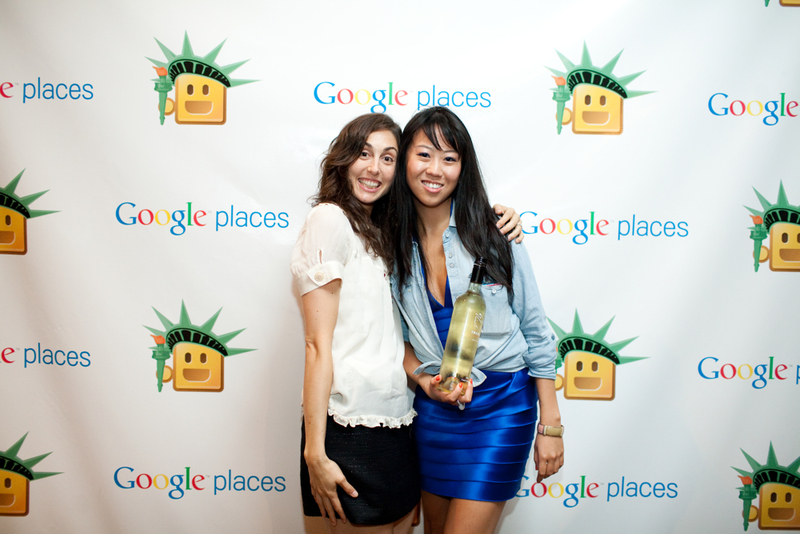 Amanda and Leiti posing with Swanson Vineyards 2009 Pinot Grigio. Photo by Katie Sokoler. 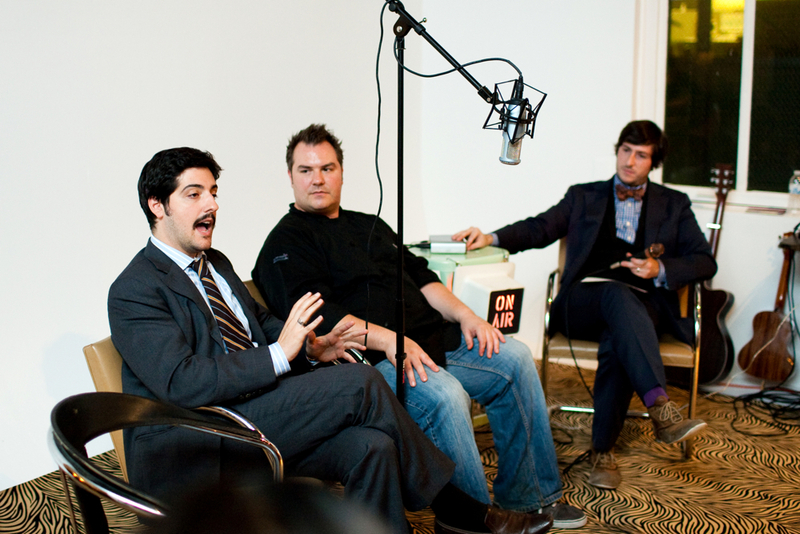 Left to right: Michael Cirino, Rob McCue, Jonny Cigar, host of Noble Rot Talks podcast series. Photo by Katie Sokoler. Cathy Erway sadly was pulled away last minute to Germany for some kind of beer thing and who wouldn’t pass up a beer thing in Germany, ya know? Conversation with Michael and Rob was thoroughly engaging, though Mr. Cirino was a bit antagonistic, which is his per usual. That’s why we love Michael. Or perhaps we love his mustache. Either way, think of it like this: Cathy has authored a book called, “The Art of Eating In” and thus her world revolves around not eating out; preparing meals at home using fresh locally-sourced ingredients. She is an absolute locavore. Michael’s cooking focuses on the use of modern techniques, i.e., sous-vide, vacuum marinating, thickening agents and frighteningly long words to describe salt. Rob McCue is a celebrity chef from season eight of Hell’s Kitchen, who admits that he, “Went through hell,” battling it out on the program. McCue’s hell however is distinctly sandwiched between Cirino and Erway’s culinary realities. As a contestant on Hell’s Kitchen, Rob performed under intense stress and pressure in a national spotlight. Reality cooking shows have inspired a “think-fast” society of foodies, where chefs are challenged to use only the ingredients that are available on the chopping block. This kind of cooking requires a talent that spans a mastery of home cooking to working in a fast-paced professional kitchen. McCue has to be able to perfectly execute a meal for two or two hundred where consistency is the mark of his skill. I certainly missed having Cathy’s take, but Rob and Michael provided a brilliant dialogue and guests were entertained by the notion that modern cooking is a bit on the dark side right now and simple cooking with that focus on fresh and local is representative of the lighter side of this revolution. I posited the notion that inventive supper club cooks and chefs are helping pave the way for change in the way Americans approach the dinner table. The more people engage online, sharing and talking about their food and drink experiences at these clubs, with impassioned bravado, the more pop culture Chefs are having to sit up and pay attention. That kind of interaction is changing the way many Chefs approach food service in their restaurant spaces. 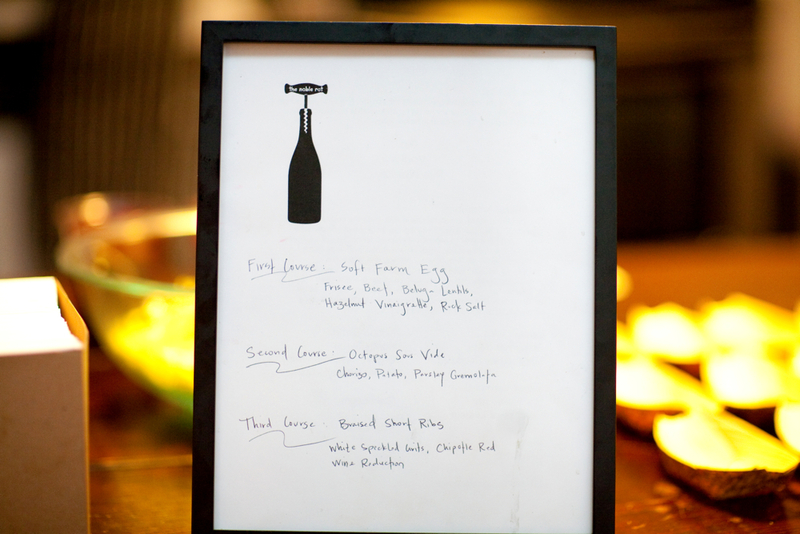 Noble Rot Chef, Christine Wells and assistant Greg Grossman, helped to execute the menu below, which was designed by Mr. Rob McCue. They did a stellar job. The food was revolutionizingly delectable. Le Menu. Photo by Katie Sokoler. Alright, Jonny! All this food talk!?!? What about the wine? I know. I know. But here’s the deal: food and wine go together like a horse and buggy. Ya know? Food is augmented by wine and wine is transformed by food. Do not, young squire, get me wrong: I absolutely love to drink wine on its own – but I really love wine when it is shared over a meal and over good conversation. And wine elevates conversation just as it does the meal. We poured wine from Swanson Vineyards, where I’m currently hosting “Salon” tastings as part of my #Harvest experience. 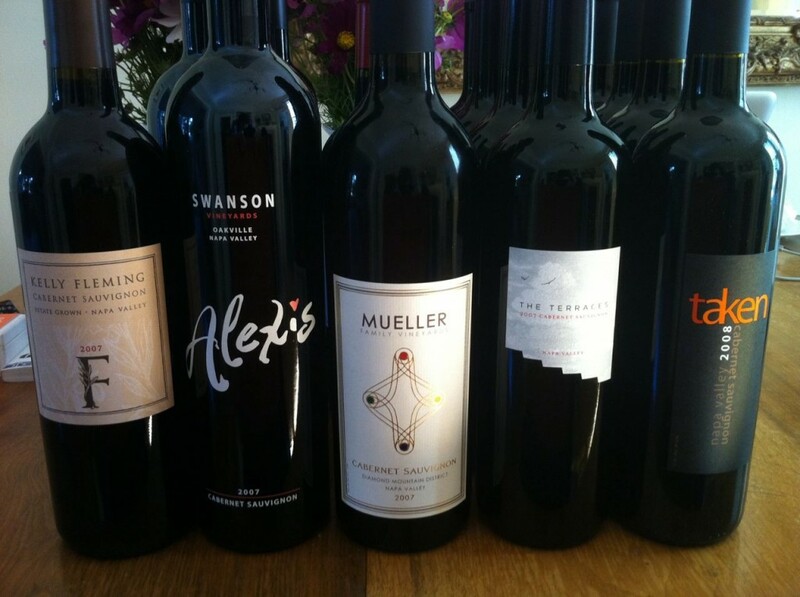 Winemaker Chris Phelps makes structured wines that have bright acidity and fabulous mouth-feel. We tasted his 2009 Oakville Pinot Grigio ($21), 2007 Oakville Merlot ($38) and a late harvest Chardonnay called Tardiff ($80). We also poured a 2009 Shaya, old-vine Verdejo Spanish white wine ($12), and a Portuguese white, the 2009 Gazela Vinho Verde ($6). 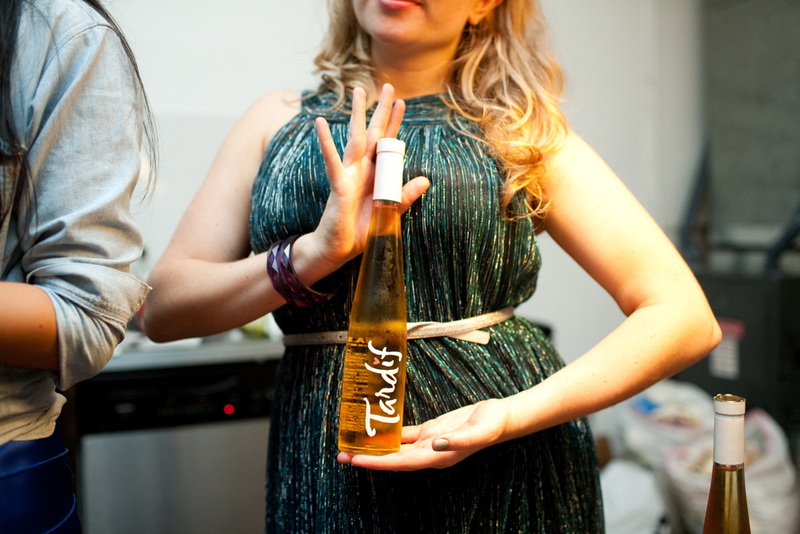 The lovely Laura Huben poses with Swanson Vineyards Late Harvest Chardonnay "Tardiff." Photo by Katie Sokoler. In the light vs dark scenario, price was our focus for the wines and people enjoyed the $6 Vinho Verde as much as they enjoyed the $38 Merlot. 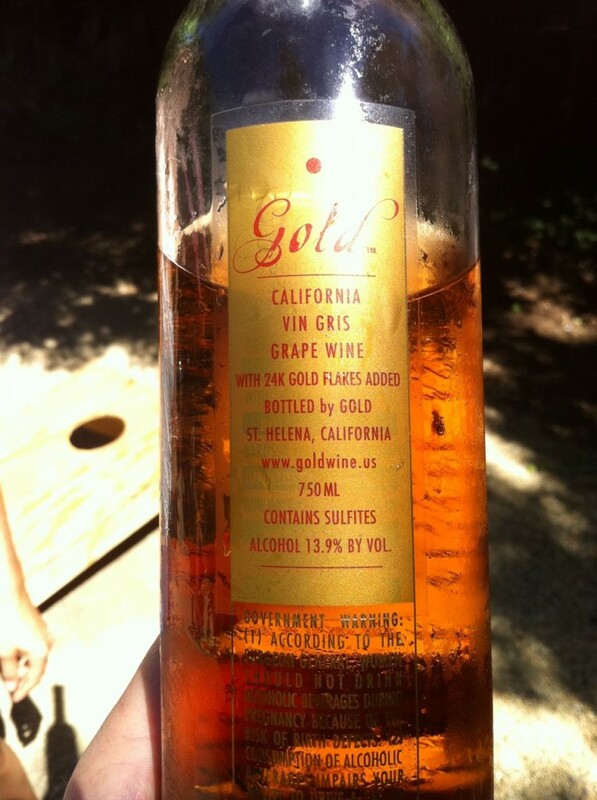 Yes, we’re talking apples to oranges with respect to the wine, but in terms of enjoyment, the feeling was mutual. The Merlot paired beautifully with a rich, sous-vide Short Rib and generated moans of absolute satisfaction while the Gazela was the perfect sipping wine that we poured during the podcast recording and gave people a certain kind of pep in their walk. To my great satisfaction a dear friend, really a criminal, performed a few musical numbers that inadvertently involved…me. Mr. Jonathan Samson – perhaps one of the most talented musicians I know – and who teaches music therapy to children, is himself a child of notorious proportions. Well, apparently so am I. So we entertained ourselves and several people who were watching from five feet away, while others continued to drink and be merry in the recesses of the room. You had to be there to understand this. Jonathan Samson ladies and gent. Photo by Katie Sokoler. Many thanks to Google Places and our friend Esther Brown for inspiring us to host this event. Check them out on Twitter and Facebook. I’ll be back in New York as of November 2. Until then, you can “tune in” each Wednesday to hear another Noble Rot Talks podcast — which will very shortly (hopefully by next Wednesday) be available via iTunes, where yee may subscribe and listen upon yer leisure. Finally, I’d love to see some comments and thoughts from you good readers about your take on the “light and dark” side of the current state of our culinary and libation based affairs. Cheers – Jonny. 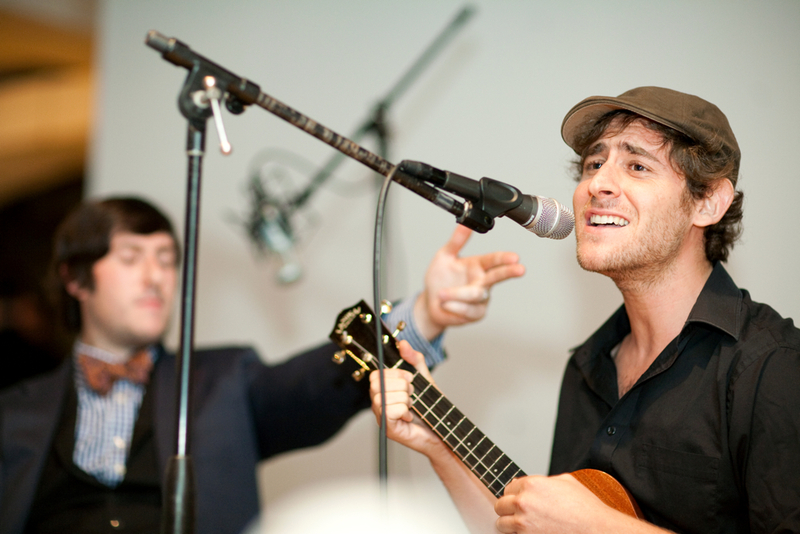 All photos by Katie Sokoler. The Second Annual Social Media blitzkrieg, “#CabernetDay” hit Twitter feeds, Facebook posts, Tumblr pages and the whites of our teeth across this country on Thursday, September 1st. The Twitter Sphere was alive with consumers, wineries, brand ambassadors and people like James Stolich (Cook With James) and I touting and conversing about the king of all grapes: Cabernet. 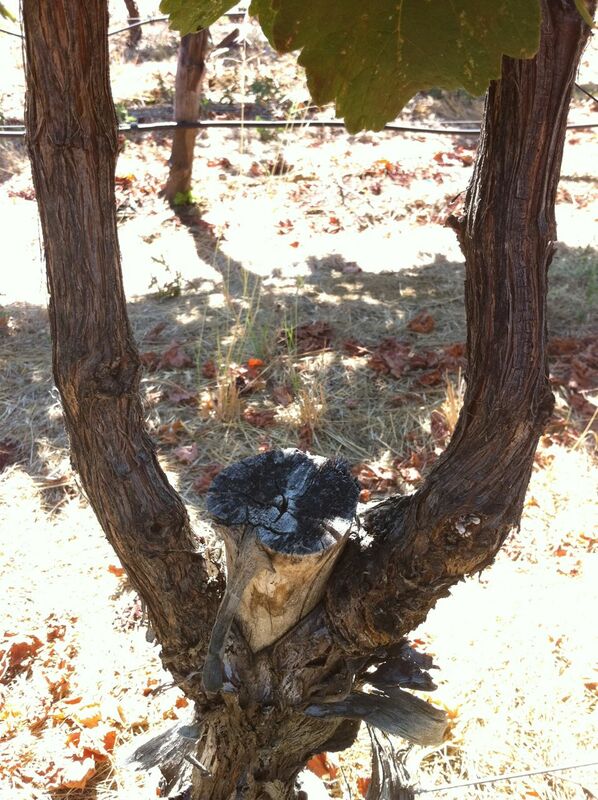 Briefly, you may be keen to know that Cab was not the king of grapes pre-phylloxera. That was Malbec. However Malbec didn’t graft well to the new American Rootstock being planted in France after Phylloxera, and so it settled into the role of tiny percentages in Bordeaux blends. Well, maybe there’ll be a #MalbecDay soon. We’ll have to ask Rick Bakas – the chap behind this global call to action. We had a great time hosting an evening of 25 San Franciscans (some communists, some Philistines, and the rest naturalists). James dished out an incredible family-style meal, detailed below in the wine pairings we came up with. James is a hell of a cook and offers classes as well as fanciful dinners for small groups. I met James when he was one of the chaps cooking for the Michelin Guide Red Book release party at the Clift Hotel last October out here in SF. This time, James and I teamed up to host at his fabulous apartment in Ashbury Heights. And what, good reader do you want to know about these cabs? Well, let me say this: we all enjoyed the different styles of these Cabs. Smith-Madrone was the most like a Bordeaux-style Cab and certainly has had more time to mellow into itself, with soft and round tannins. Taken had great acidity and paired nicely with James’s creamy burrata with Dirty Girl Farm tomatoes. Mueller was a treat on its own — the scotch drinkers Cab I call it. Alexis and the 5 Dot Ranch braised beef (one of James’ specialties) left us all on the floor, singing gospels songs to praise the pairing. Kelly Fleming was as enchanting as you might imagine the actual Kelly to be, and I can attest as I’ve met her and toured the Kelly Fleming caves dug into Mt. 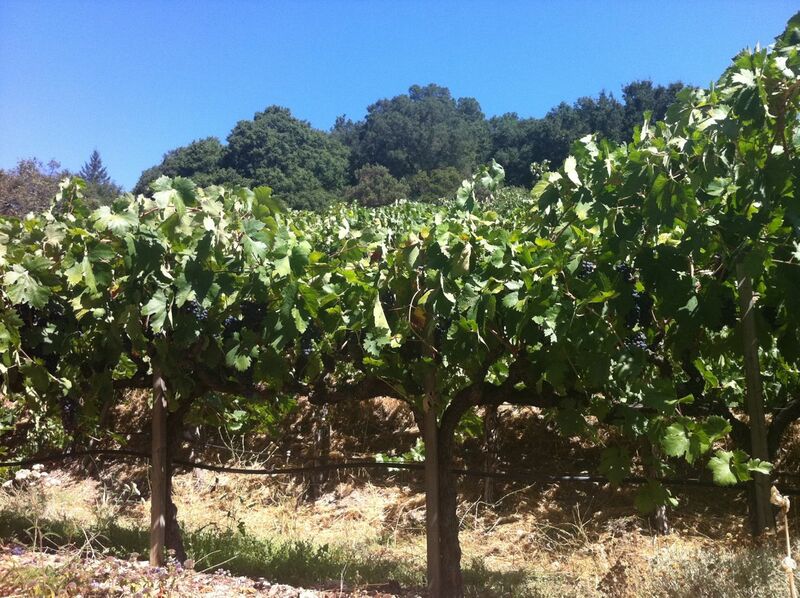 St. Helena. The Terraces sipped with crostini of eggplant caponata transported us all to the high holy days of Rome. Why Rome? Why not? Check out The Terraces fruit! 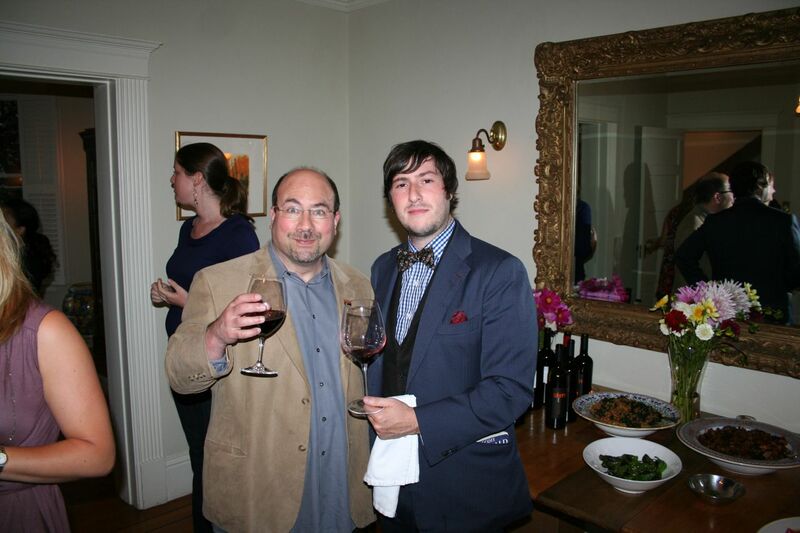 James is old pals with Craig Newmark (founder of Craigslist), and Craig graced our party with his presence. A delightful chap who I thoroughly enjoyed conversing with! 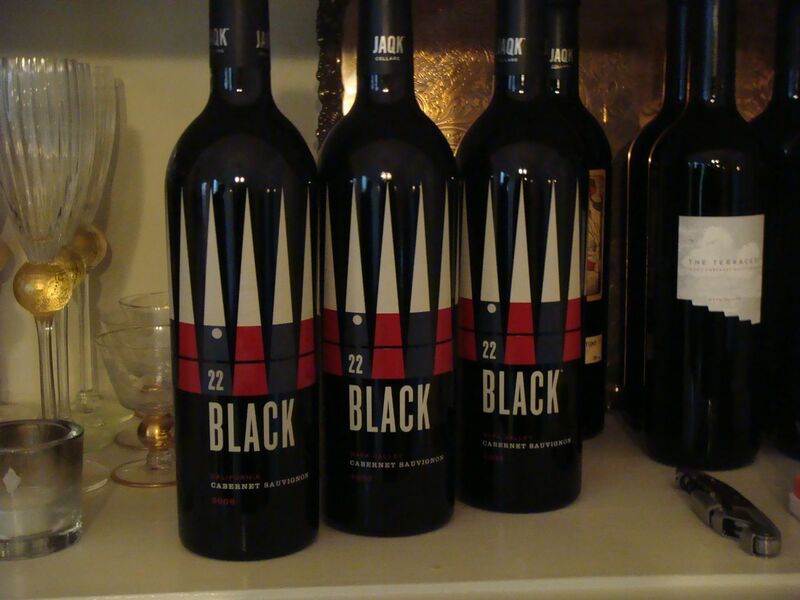 JAQK Cellars "22 Black" - the bottles is a damn roulette wheel!!! And we tasted through a vertical: 2006, 07 08. The 2007 rocked us. The rest of the photos can do the talking below. This week coming up on Winetology: my first experience hosting solo the Salon Tastings at Swanson Vineyards, updates on the launch of the Noble Rot Talks podcast, a recent trip to the Hill Family Estate farm and mucho vino moro.